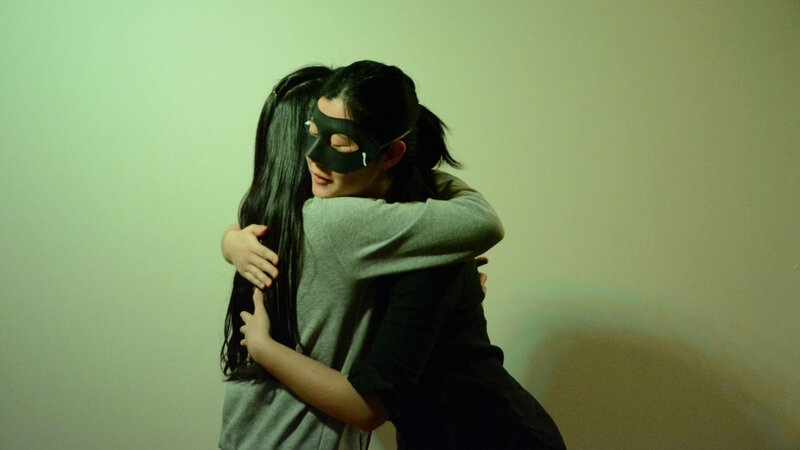 By researching the history of anonymity, Jingting found that it was mainly used in acts of subversion, which was related to something dangerous, mysterious, and secret. However, with the development of the internet and mobile devices, the aim of being anonymous has entirely changed, while people's impression of it has remained negative. 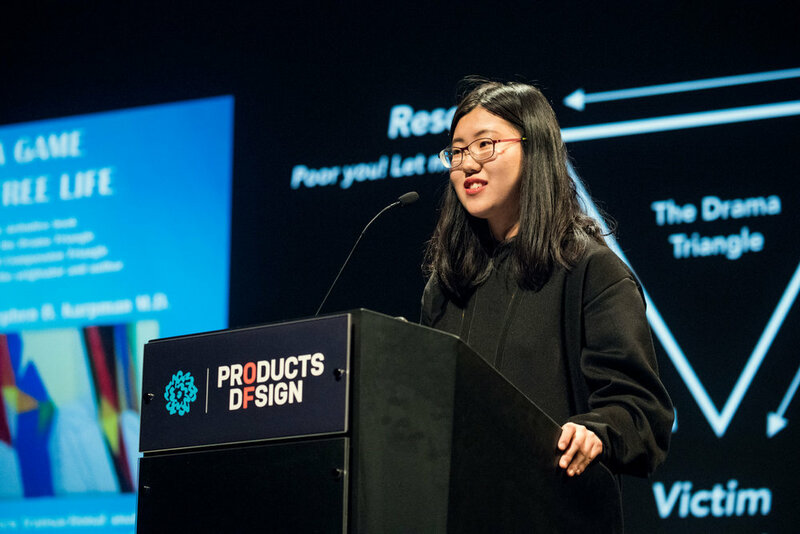 To find the pains and needs of being anonymous, Jingting talked to many anonymous people on different social networking apps. She even formatted her computer, taped over the camera, and delved into the dark web, which has the worst reputation among all anonymous platforms. 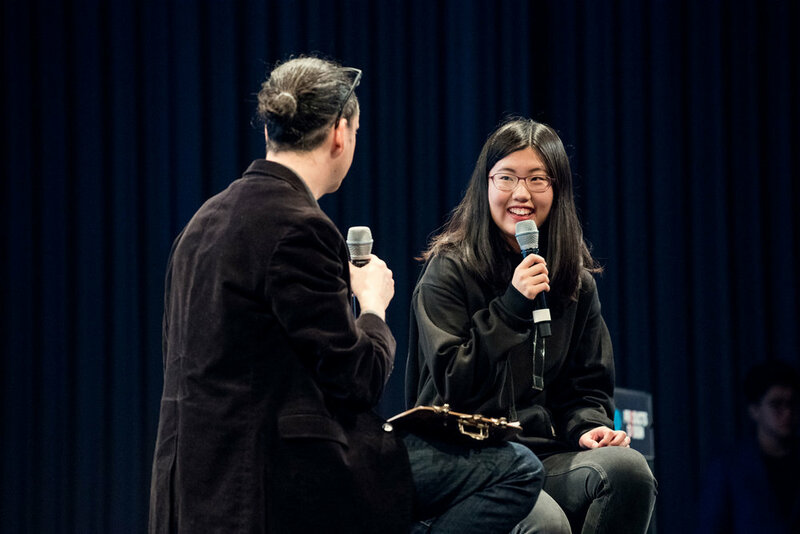 After many great conversations, she was determined to help people express their desire and explore other sides of themselves through a new generation of anonymous platforms, as well as challenge the previous impression people had of anonymity. Never Have I Ever is a platform for teenagers to share their awkward experiences anonymously with their friends. 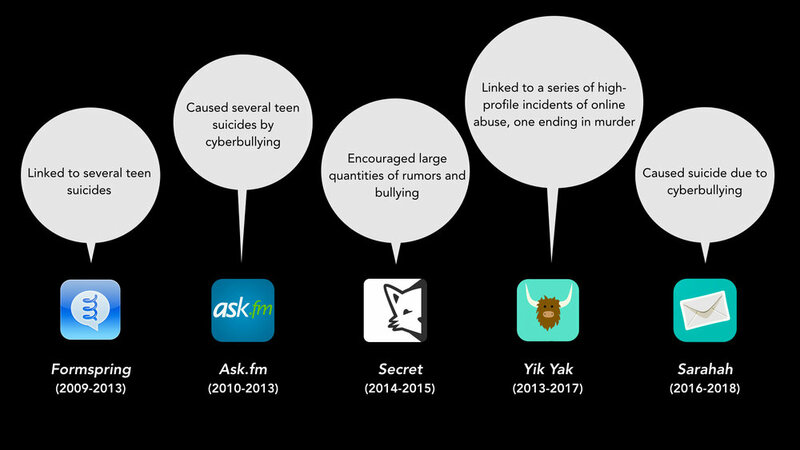 It has an advanced system that can provide a safe space, and restricts rumors and bullying—a common phenomenon on anonymous platforms that usually discourages people to post. Instead, users choose their answers to the pre-written questions. For the experiences they admit to, they can check how many of their friends had the same experience. Maskie, a 15-second short video function in the ScreenPLAY app, was designed after specific market research and is the best fit for the market. 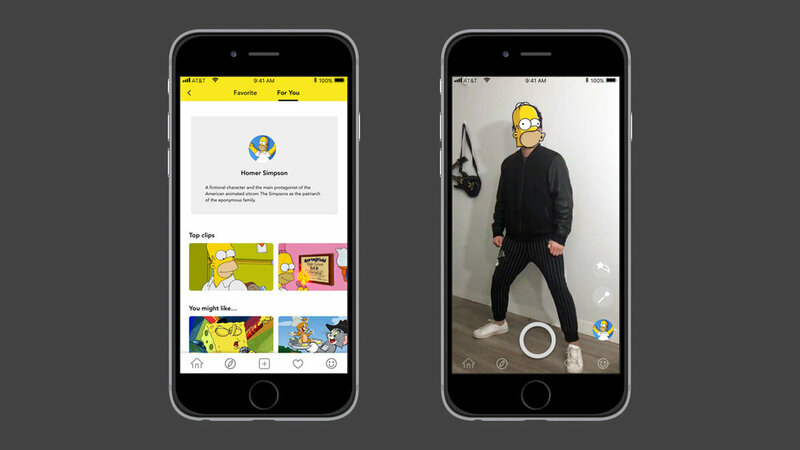 Users can choose a film or cartoon clip, imitate the characters, and record a short video with an AR mask on their faces. 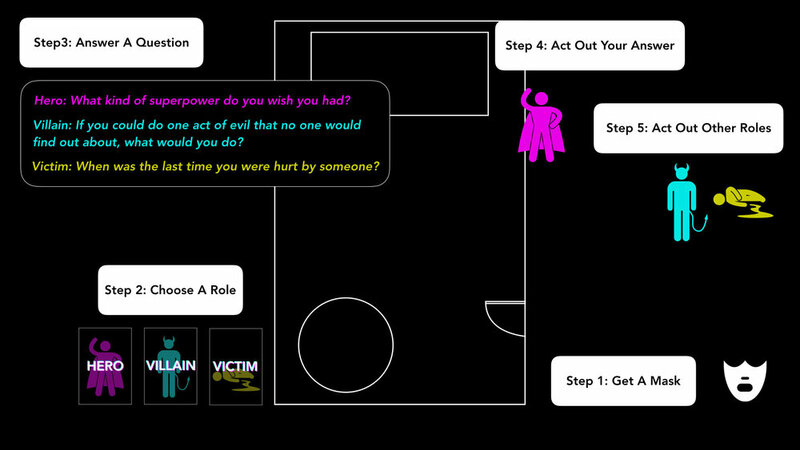 The Dark Room is an improv theatre experience for people to explore their inner hero, villain, and victim. Based on the Drama Triangle Theory by Dr. Stephen Karpman, everyone has three personas in different interaction scenarios: persecutor, rescuer, and victim. 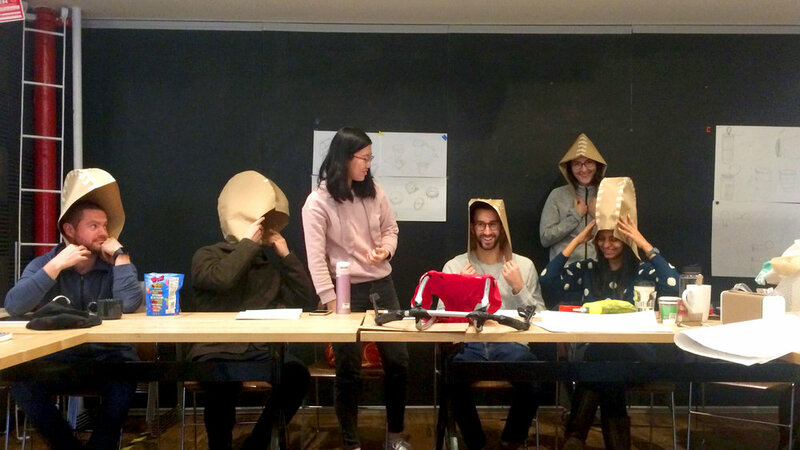 In this experience, people were led to act out all three characters based on their experience and imagination to explore other sides of themselves. 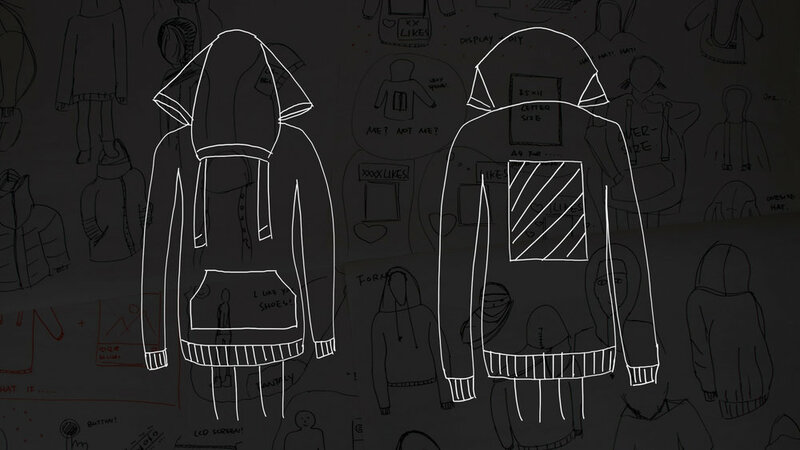 WhoD is a smart hoodie that encourages people to show a side of themselves that they typically don’t share openly. The screen on the back is used to display an image or ideology they otherwise keep secret. 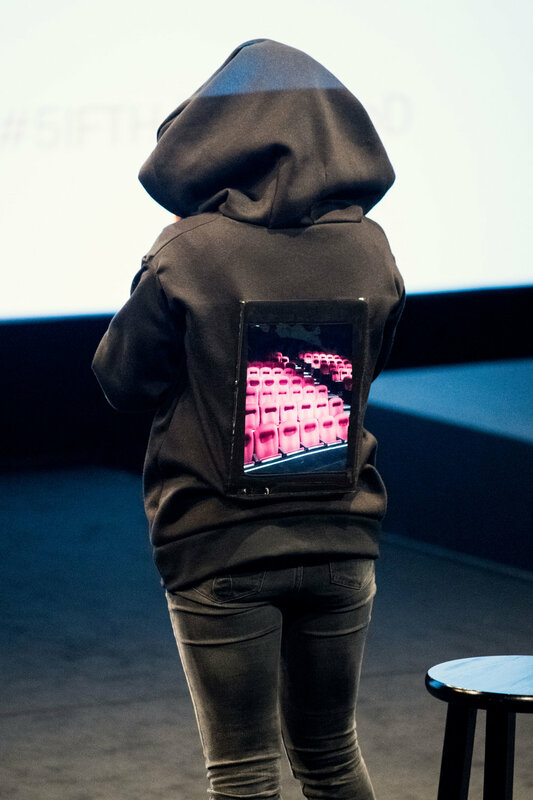 The extra long hood covers the entire face when worn up, and then covers the screen on the back when pulled down. 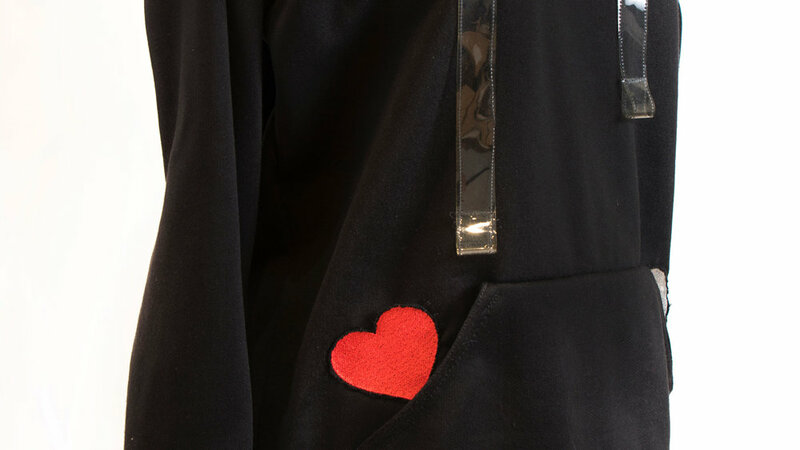 This garment provides an option for people to either express their inner belief or present themselves as they normally do. To learn more about Jingting He and her work, take a look at www.jingtinghe.com. Tell her something interesting or just say hi to her at jhe7@sva.edu.